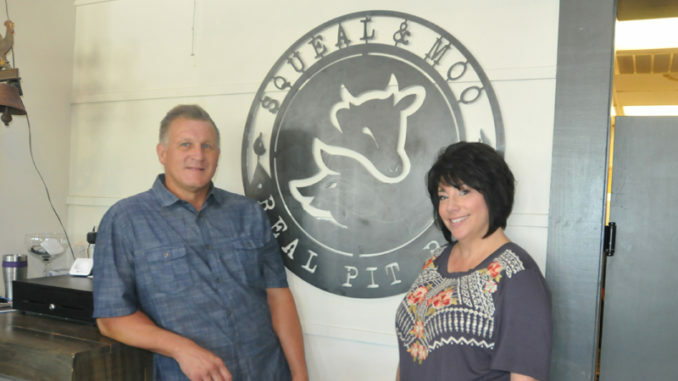 Kip and Lori Bergeron at their newly opened restaurant, Squeal and Moo Real Pit BBQ. Kip and Lori Bergeron had long dreamed of opening their own restaurant. After drawing inspiration from a dear friend, their dream has become a reality. Thus, the recently opened Squeal and Moo Real Pit BBQ was born in Luling, and after two months, the couple has no regrets — their menu is a hit around town. While St. Charles Parish native Kip spent some time in Austin, Texas, he found two loves – his wife, Lori, and Lonestar State style barbeque. When the couple moved back to St. Charles Parish, Kip quickly realized how rare barbeque was to find in the area. 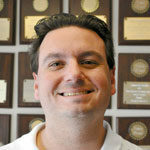 Kip has long loved to cook and also grew used to the barbeque selection available in the Lone Star State, something he quickly realized was not as common in this region when the couple moved here. They started thinking about it in 2000, but only officially moved forward with their plans after the passing of Darrin Beadle, a friend of the couple whose friendship with Kip dated back to childhood. 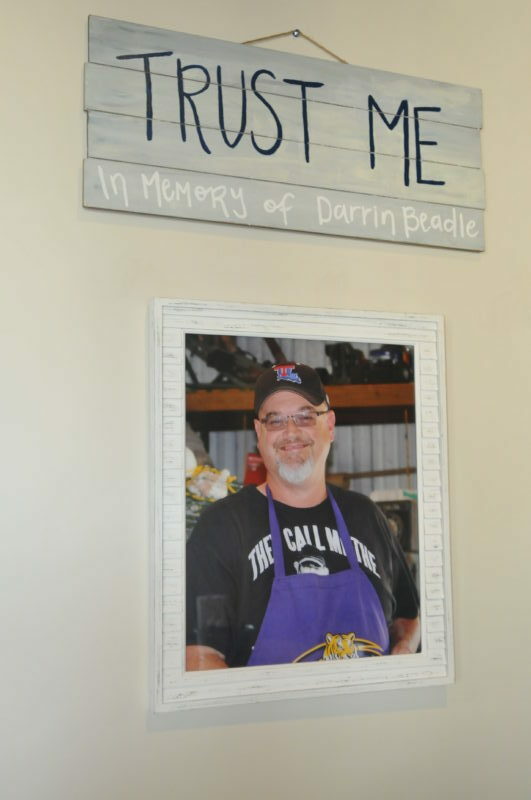 Darrin shared Kip’s love of cooking for friends and family, and he was a huge source of encouragement for the Bergerons before his passing in the summer of last year. After a complete remodel of the building and installation of Kip’s custom built smokers, they opened their doors to a strong response. Not only has their dream become a reality, but they’ve honored Beadle’s memory through the Big Beadle Sampler, a dish that fittingly ties together much of the menu. The restaurant officially opened on May 15, but before that could happen, a direction — and menu —had to be cemented. The Bergerons wanted their menu to bring something unique to the area and for it to be served in a fun, relaxed atmosphere. Some of the most popular items on the menu include burnt ends, BBQ pork and brisket stuffed tacos, BBQ stuffed baked potatoes, BBQ pork nachos, ribs, pulled pork, brisket, house-made chips, macaroni and cheese, purple pecan slaw and roasted corn grits. The burnt ends, Kip said, are a true delicacy of the restaurant. The restaurant also fills catering and takeout orders each day. 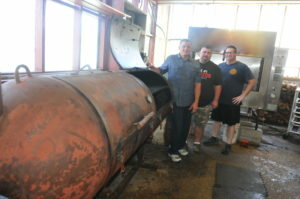 The Bergerons credited their staff, including general manager Riki Zammit, pit master Brad Brevelle and kitchen manager Austin Johns, for creating memorable and enjoyable visits for all their visitors. Squeal and Moo has recently stocked their bar and made improvements in anticipation of football season. A daily Happy Hour has been implemented from 3-6 p.m. featuring food and drink specials, and new, larger televisions are being installed. Bar and restaurant hours will be extended on game days. “We want to make sure everyone will have the best seat in the house come game day,” Kip said. Squeal and Moo is open Monday-Friday from 10:30 a.m. to 8 p.m. and Saturday from 11 a.m. to 8 p.m. It is located at 12287 Hwy 90 in Luling. A Sunday schedule will be added at the start of football season.